TORRANCE, CA: Toyota Motor Corp. said it has made PR budget reductions and will seek to "do more with less," according to Joe Tetherow, national manager of Toyota Division Communications. 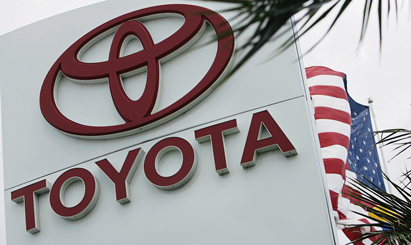 TORRANCE, CA: Toyota Motor Corp., whose US sales dropped more than a third in December, said it has made PR budget reductions and will seek to “do more with less,” according to Joe Tetherow, national manager of Toyota Division Communications. Tetherow declined to give dollar amounts of the cuts, but said it would have an affect on both internal and agency PR support. Toyota's AOR GolinHarris voluntarily reduced its rates for the automaker in August, while maintaining the same service level, said Art Garner, SVP at Golin and lead on the account. “We could see the challenging situation the industry was facing and that it was not business as usual,” Tetherow explained. He said the challenge is to “rebuild consumer confidence.” He added that cutbacks in budgets and other agency efforts – it works with several regional PR firms, including Hopkins & Associates in Texas and Arizona's Walker Agency – were likely. Fellow Japanese automaker Nissan, which works with AOR Edelman, also made some “adjustments, but nothing major” to its PR budget, said Alan Buddendeck, VP of corporate communications.